Although much of what passes for news on the Maltese islands would struggle to make the cut of a community newspaper in SA's leafy knock and drop suburbs, the flip side is that many big South African stories fail to get reported on here on 'the rock' at all. Land expropriation didn't feature until Donald Trump tweeted about it and the recent Adam Catzavelos viral clip and subsequent social media fall-out likewise didn't make the news in Malta this past month. It made me wonder about national frames of reference (South Africa versus Malta) and how a particular country’s obsessions drive their news agenda. So, if rugby is a national obsession, then anything the Springboks do becomes main body news rather than, logically, being contained in the sports pages. 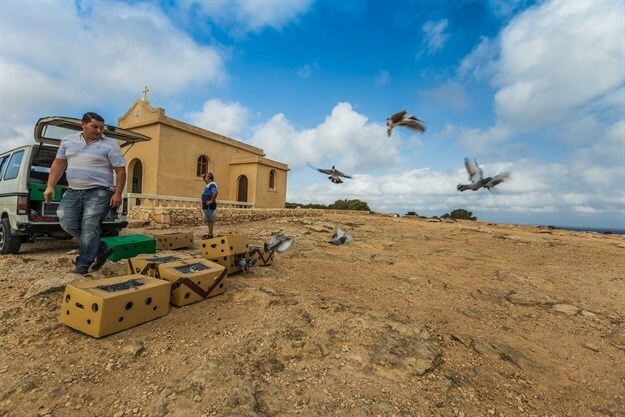 Here on the archipelago, rugby is not as big a thing as football, but both receive minor league coverage compared to the Maltese obsession with hunting which always makes the news (most often unfortunately about Malta’s flouting of EU laws relating to the hunting and trapping of birds). But the Catzavelos hate speech case prompted me to investigate whether hate crimes exist on the Maltese islands, and my findings may surprise you. As it turns out, Malta is one of just five EU countries that has no system to record hate crime. Having been studying criminology at the University of Malta this past year, I learned that the Maltese do not collect hate crime data. Frontline police officers lack specific guidance on how to identify these acts, according to a report by the EU’s Agency for Fundamental Rights (FRA). This doesn’t mean hate crimes don’t exist on the archipelago, but when the criminal justice system has no mechanism in place to measure a particular type of offence, it either means the incidence is statistically so insignificant that it hasn’t even beeped on the radar, or that a behaviour is not considered deviant in the society and is therefore not labelled criminogenic. The FDA report, which throws a spotlight on each member state, notes that Malta does not have a specific system for recording hate crimes. When confronted with a possible hate crime, frontline police officers use the generic crime report form and under the heading ‘action taken’ provide a full description of the circumstances of the incident. There is no specific guidance document on how to identify hate crimes, it explains. The report reiterates the advice given to Malta in May by the European Commission against racism and intolerance – to introduce a mechanism that collects disaggregated data on hate crime incidents and records the specific bias motivation. FRA believes that this is necessary in order to monitor the effectiveness of the criminal justice system’s response. Publication and easy access to such data would, meanwhile, help assure victims and communities that hate crime is taken seriously. It also sends a message to the public that hate crime is an evidenced problem that requires specific action across society. While different Member States have their own ways of collecting data, Malta featured as one of those which does not. Moreover, police officers need detailed guidance and systematic training to identify bias indicators to effectively record the motivation underlying a reported offence and therefore identify and record hate crimes. Again, Malta was one of 12 EU member states that have no such guidance. Victimisation surveys conducted by FRA continue to underline how hate crime and harassment towards several groups – migrants, LGBTI people and minorities – persist across the European Union. However, official statistics rarely tell the same story undermining societal trust in the systems that are there to protect them. The FRA said it insists that any hate crime system was only as good as the information it got. “To send a strong and clear message that hate will not be tolerated in Europe, Member States need to be even smarter in their approach to measuring hate crime,” director Michael O’Flaherty said.